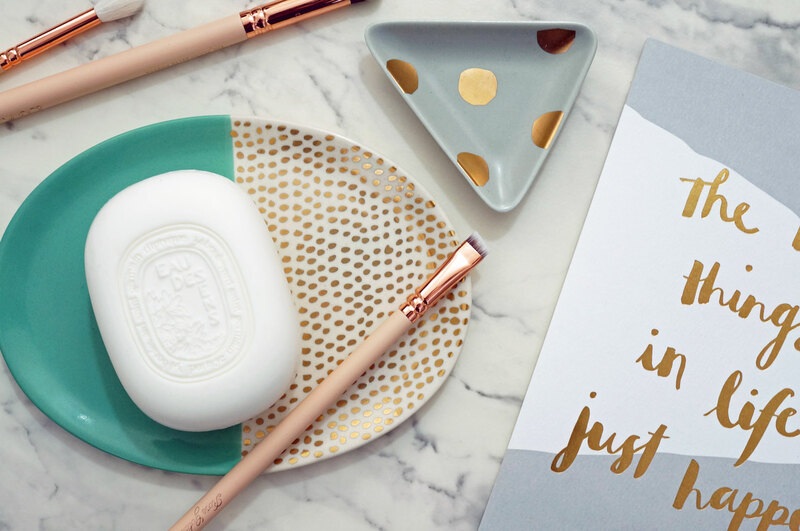 It’s been all of about a month since my last Diptyque fix, and I’m really excited about their latest launch – the gorgeous Eau Des Sens collection. I have the Eau des Sens soap to share with you today. As much as I love Diptyque, I haven’t actually tried that many of their products – simply because they’re not readily available near me. I have a couple of fragrances, Tam Dao and Oyedo which you can read about in this post, and I must admit they’ve been tucked away at the back of my cupboard for way over a year now. More recently, I was more that just a little bit obsessed with the Rosaviola candle over the Valentines period last month, and now I have my first ever Diptyque soap! Ok so yes I know it’s just a soap, and how much can you really say about a soap? Well I know it sounds a bit corny but this really isn’t ‘just a soap’. I can honestly say I’ve never smelled anything like this before. Firstly, I should tell you that the soap arrived wrapped in paper, in a pretty and very typical Diptyque box, covered in cellophane. After taking the cellophane off the box and peeking inside, before even removing the soap at all, the scent completely filled my kitchen within the hour. I really was so surprised, it was like I’d been spraying perfume around the room. And even though the fragrance clearly packs a punch, by no means was it too strong or over powering. I’m half tempted to just leave the soap on a plate on the windowsill to keep my kitchen smelling amazing! Eau des Sens confuses the senses, like a piece of music, radiating from the skin. A vital vibration in a harmony of orange blossom, bitter orange, juniper berries, angelica and patchouli. Eau des Sens owes its originality to the way it is composed. A bitter orange, in all its diversity, resonating with unexpected spicy and woody notes. A delight for the senses. And yes, the fragrance! The Eau des Sens fragrance is just so stunning. It’s described as ‘a sensational octave of scents‘, and the best way I can think of to describe it is ‘multi-faceted’. Neither particularly masculine nor feminine, this fragrance is warm and fresh, with a distinct citrus note which takes me straight to Italy. This scent is just like sunshine on warm skin, with a zesty freshness and a base of green and woody notes freshened by ginger. I think any fans of Diptyque will be captivated by this fragrance, it’s definitely a must try! 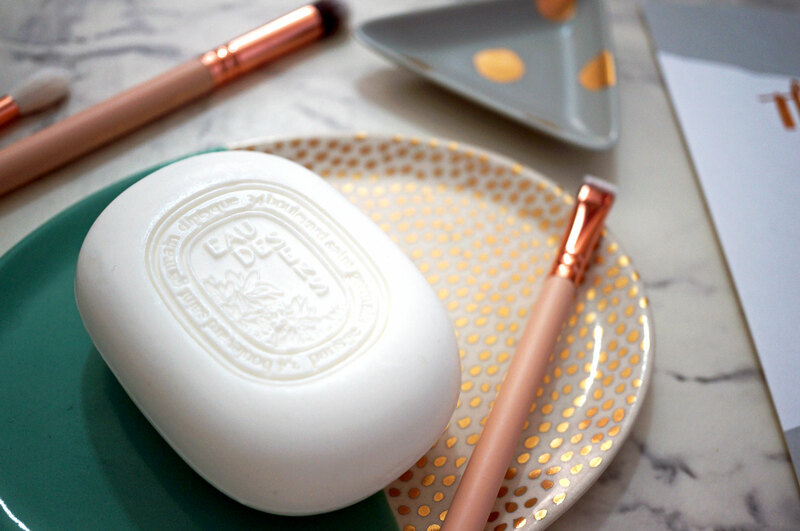 The Eau des Sens collection is available now from Diptyque. BareMinerals NEW BareSkin Foundation & Blogger Event!